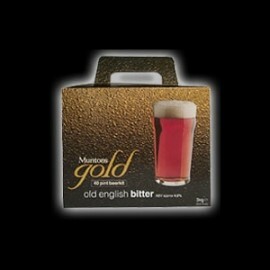 This fine Old English beer rekindles the full bodied, rich ales of Victorian Britain. Enjoyed best when served at cellar temperature - 13°C, 56°F. This quality beer combines premium brewing malt and the choicest hops, to follow a centuries old tradition of fine brewing. In keeping with this tradition, you can now recreate the taste enjoyed by Victorian England, with this excellent Old English Bitter - a taste which improves and matures with age, if you can bear to store a few bottles for six months or so! Please note:- This product is available direct from the manafacturer with a 5-7 day lead time.